This post is somewhat like a blast from the past. 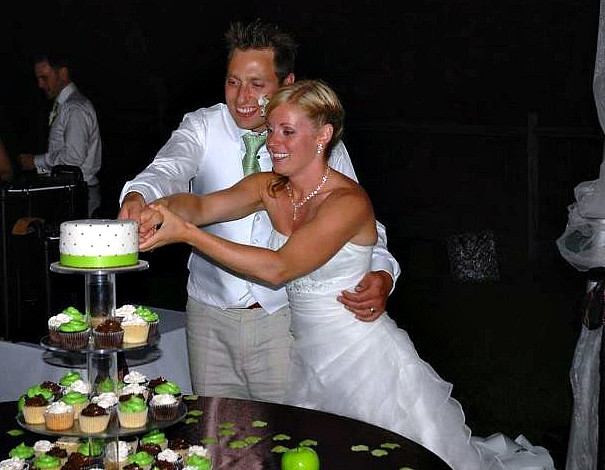 I created these cupcakes and topper cake for a wonderful couple for their wedding cupcake tower. 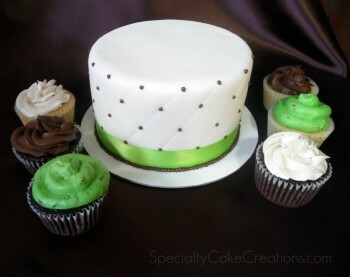 Somehow I missed posting about it, but I think the color theme fits greatly now with St. Patrick’s Day coming up. 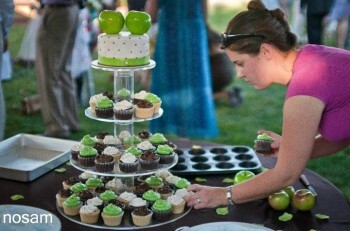 The chocolate and vanilla cupcakes were topped with vanilla bean, chocolate and thin mint buttercream swirls. The topper cake was chocolate cake with raspberry fruit filling. It was covered in white fondant with a quilting pattern, decorated with an apple green ribbon and finished with brown buttercream dots. 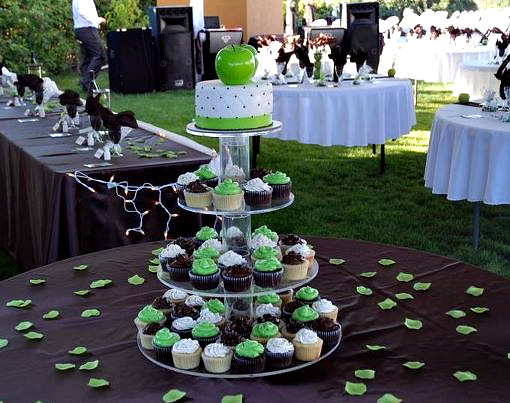 The wedding was set on a beautiful acreage with an apple orchard, hence the couple’s decision to include apple green as their wedding color. 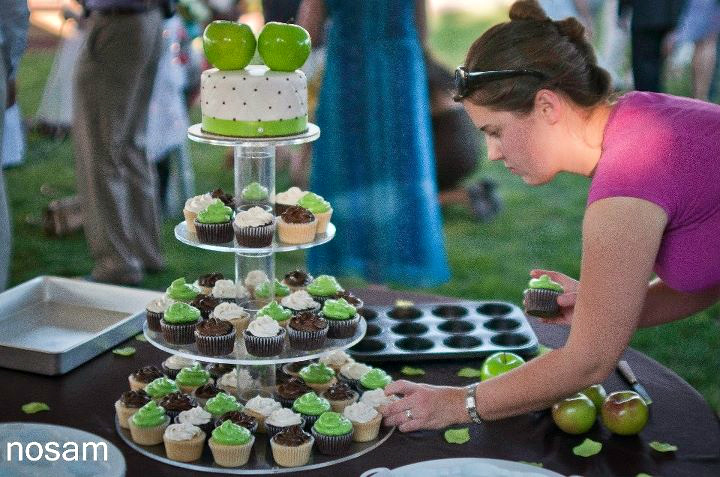 It was a very hot late summer afternoon and I was totally occupied with getting the cupcakes there and set-up without any damage from the sun’s heat, that I entirely forgot to take my camera along for a shot of the finished set-up. But the bride sent me these pictures from other wedding guests. Thank you very much.